Calm in south broken after less than 2 hours as city of Be'er Sheva struck for first time in 4 years. 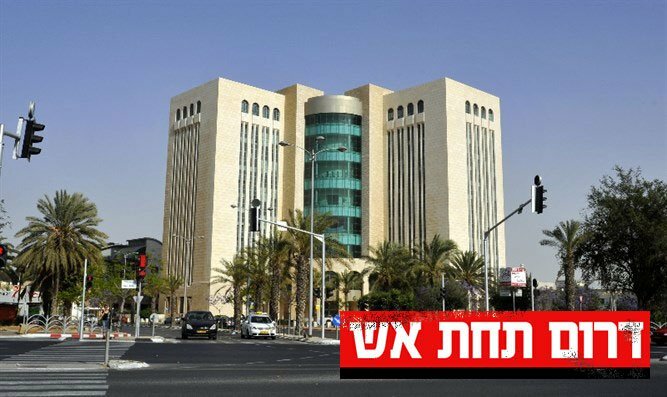 The Red Alert siren sounded in the city of Be'er Sheva and surrounding communities Thursday afternoon. Residents in the south reported explosions that were heard in the area. The police reported that one rocket landed in Be'er Sheva. No casualties were reported. This is the first time that a rocket struck in Be'er Sheva since Operation Protective Edge in 2014. The sirens in Be'er Sheva were heard after almost two hours of quiet in the south. Earlier this morning, the sirens also reached Netivot, Ashkelon and the north western Negev. According to IDF data, more than 180 rocket and mortar launches from the Gaza Strip into Israeli territory have been identified since last night, and the Iron Dome battery intercepted more than 30 rockets. Most of the rockets landed in open areas. In the afternoon, the IDF announced that Israeli Air Force fighter jets had attacked several terrorist targets along the Gaza Strip, including a military compound of the East Rafah battalion, a shaft of a Western fighting tunnel west of Jabalya, and two combat tunnels near the coast in the central Gaza Strip belonging to Hamas. "This is a continuation of an effort to destroy the underground terrorist infrastructure that the IDF has been leading in recent years."